I’ve been meaning to post about these amazing T-shirts forever. Because they’re — I kid you not — unbearably cool. It’s an idea so good that I’ve been kicking myself constantly (though ever so gently) for not having thought of it first! 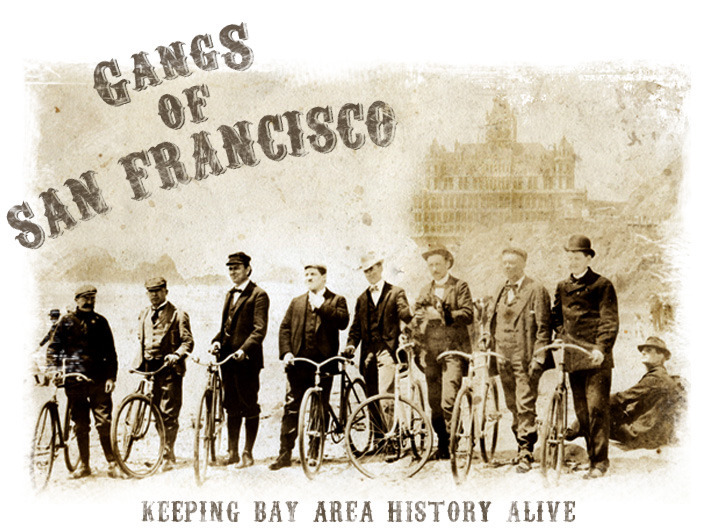 What we have here is a series of San Francisco historical T-shirts, each one inspired by a historical neighborhood icon or institution. 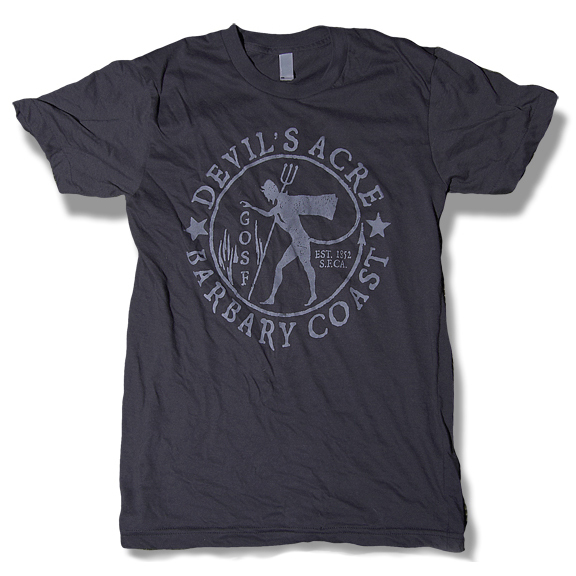 Locally made, totally cool … and they’re beautifully designed, too. Carville Falcons — Carville you remember, right? One of those cars was the headquarters of the Falcons — an all-girl cycling club. 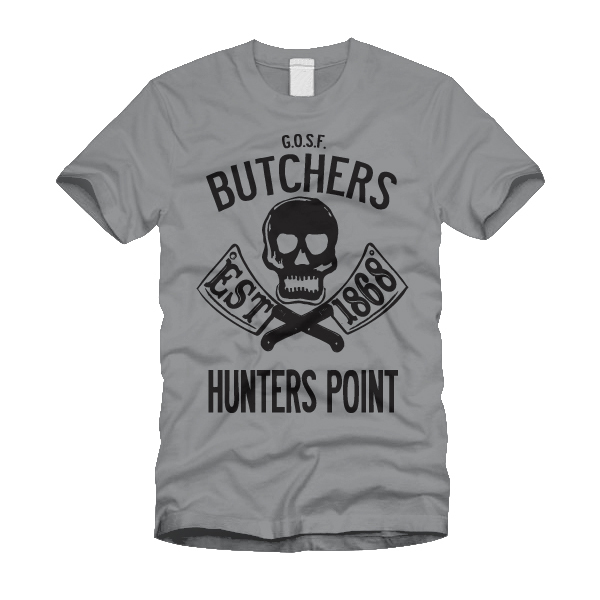 Hunter’s Point Butchers — a little confusing, since Butchertown was a neighborhood distinct from Hunter’s Point, but what the hell … even though it’s currently out of print, this one’s totally my favourite. And all this is just the tip of the iceberg. Take a peek… and flash some vintage neighborhood pride. Tell ’em Sparkletack sent you! these are great ideas and great looking Ts! i saw them online many months ago then saw the vendor at the renegade crafts fair in the summer. … you can never have too much of sf history! a shopping opportunity, ’til now. Thanks for the post, Richard. 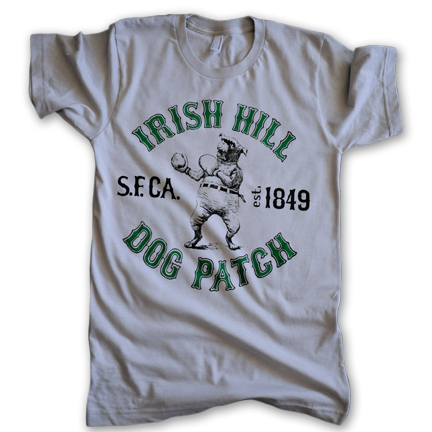 If the shirt people cared to delve deeper into the SF gangster motif t’would be neat to add a Sidney Ducks, a Hounds, a Joe Boys or even a Painteaters T to this fine collection. I really miss your podcasts. No doubt I’ll be dipping back into Sparkletack archives before this night turns to dawn. These stories and the way you finesse their telling fill a unique, education-meets-entertainment niche for anyone in love with The City. By making history fun, by breathing life into history’s brittle bones and romping through it with your wry affections, a magic is conveyed transporting listeners back to a San Francisco we see, hear, smell, taste and grab for in every inch its glory. Your talent, Richard – that of the grand tale spinner – is, in my opinion, the oldest, most enjoyable, meaningful and most sacred a human could possibly be gifted with. Here’s to you â€” to a new year, and to ever greater successes at whatever endeavors you pursue! cool as. i will prolly grab the whole bunch! "Your reports made me realize it's been far too long since I visited. I have just booked a weekend in SF next month. See ya then! Wwoootttt!!"